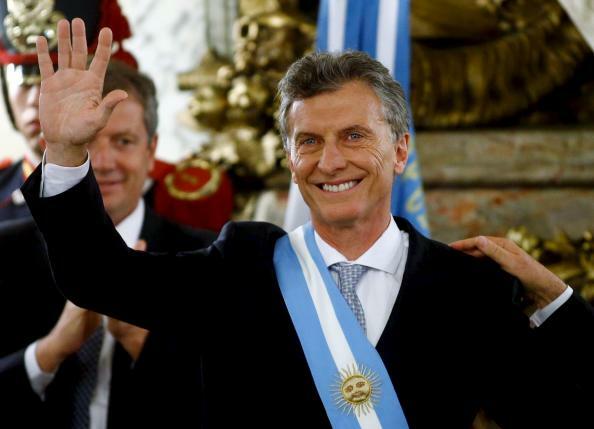 Mauricio Macri has been sworn in as Argentina’s president in a Buenos Aires ceremony. The newly-elected president vowed to unite the nation and revive the economy. The center-right Mauricio Macri took the oath of office in Congress but his inauguration was boycotted by his predecessor, Cristina Fernandez de Kirchner, in a row over the venue. In his inaugural speech, Mauricio Macri vowed to tackle corruption, poverty and drug trafficking. He also pledged “team work” and an end to confrontation in politics. Mauricio Macri, 56, told Congress: “As president I want to be a citizen who can communicate with all Argentines. “Today a dream is being achieved,” he said. On December 9, outgoing President Cristina Fernandez de Kirchner had bid farewell to supporters in an emotional speech, urging people to take to the streets if they felt betrayed by the new centre-right government. This is the first time since the end of the military dictatorship in 1983 that a president has not attended the inauguration of a successor. Mauricio Macri triumphed in last month’s election run-off, beating Cristina Fernandez’s chosen successor, Daniel Scioli. The newly-elected president has promised to move from a largely state-controlled economy under the leftist Cristina Fernandez de Kirchner to one that is more free market-orientated, easing trade and currency controls. Mauricio Macri has also promised to improve relations with the US. In his speech in Congress he said: “We’ve got to take confrontation out of the centre of politics. With fighting no-one wins, with dialogue, everyone wins. Mauricio Macri said those who had voted for him wanted three goals – zero poverty, an end to drug trafficking and the unity of all Argentines. To applause, he said he wanted a judiciary cleaned of its political affiliations. Marta Gabriela Michetti was sworn in as vice-president. Mauricio Macri then travelled to the presidential palace to receive the sash and baton of office. Cristina Fernandez de Kirchner had insisted that the handover of the symbols of office should also take place in Congress, where her party holds a majority of seats. She argued this was a tradition established by her and her late husband and predecessor in office, Nestor Kirchner. Mauricio Macri argued that according to presidential protocol, the handover should be held in the palace, as it was before 2003. Local media reported that Mauricio Macri’s decision was probably driven not just by tradition but also by a concern that followers of Cristina Fernandez de Kirchner could disrupt the ceremony in Congress. After Cristina Fernandez de Kirchner declined to attend the ceremonies, Mauricio Macri’s party sought a court injunction affirming that her term ended at midnight on December 9.